Recommendation engines make future suggestion to a person based on their prior behavior. There are several ways to develop recommendation engines but for purposes, we will be looking at the development of a user-based collaborative filter. This type of filter takes the ratings of others to suggest future items to another user based on the other user’s ratings. Making a recommendation engine in Python actually does not take much code and is somewhat easy consider what can be done through coding. We will make a movie recommendation engine using data from movielens. We will now make 4 dataframes. Dataframes 1-3 will be the user, rating, and movie title data. The last dataframe will be a merger of the first 3. The code is below with a printout of the final result. We now need to create a matrix using the .pivot_table function. This matrix will include ratings and user_id from our “MovieAll” dataframe. We will then move this information into a dataframe called “movie_index”. This index will help us keep track of what movie each column represents. The code is below. There are many variables in our matrix. This makes the computational time long and expensive. To reduce this we will reduce the dimensions using the TruncatedSVD function. We will reduce the matrix to 20 components. We also need to transform the data because we want the Vh matrix and no tthe U matrix. All this is hand in the code below. What we saved our modified dataset as “R”. If we were to print this it would show that each row has two columns with various numbers in it that cannot be interpreted by us. Instead, we will move to the actual recommendation part of this post. To get a recommendation you have to tell Python the movie that you watch first. Python will then compare this movie with other movies that have a similiar rating and genera in the training dataset and then provide recommendation based on which movies have the highest correlation to the movie that was watched. We are going to tell Python that we watched “One Flew Over the Cuckoo’s Nest” and see what movies it recommends. First, we need to pull the information for just “One Flew Over the Cuckoo’s Nest” and place this in a matrix. Then we need to calculate the correlations of all our movies using the modified dataset we named “R”. These two steps are completed below. Now we can determine which movies have the highest correlation with our movie. However, to determine this, we must gvive Python a range of acceptable correlations. For our purposes we will set this between 0.93 and 1.0. The code is below with the recommendations. You can see that the engine recommended two movies which are “The Graduate” and “Taxi Driver”. We could increase the number of recommendations by lower the correlation requirement if we desired. This entry was posted in python and tagged statistics on December 26, 2018 by Dr. Darrin. Parametric models make assumptions about the shape of a function. Often, the assumption is that the function is a linear in nature such as in linear regression. Making this assumption makes it much easier to estimate the actual function of a model. Non-parametric models do not make any assumptions about the shape of the function. This allows the function to take any shape possible. Examples of non-parametric models include decision trees, support vector machines, and artificial neural networks. The main concern with non-parametric models is they require a huge dataset when compared to parametric models. In relation to parametric and non-parametric models is the bias-variance tradeoff. A bias model is simply a model that does not listen to the data when it is tested on the test dataset. The function does what it wants as if it was not trained on the data. Parametric models tend to suffer from high bias. Variance is the change in the function if it was estimated using new data. Variance is usually much higher in non-parametric models as they are more sensitive to the unique nature of each dataset. It is also important to determine what you want to know. If your goal is accuracy then a complicated model may be more appropriate. However, if you want to infer and make conclusions about your model then it is preferred to make a simpler model that can be explained. A model can be made simpler or more complex through the inclusion of more features or the use of a more complex algorithm. For example, regression is much easier to interpret than artificial neural networks. Supervised learning is learning that involves a dependent variable. Examples of supervised learning include regression, support vector machines, K nearest neighbor, and random forest. Unsupervised learning involves a dataset that does not have a dependent variable. In this situation, you are looking for patterns in the data. Examples of this include kmeans, principal component analysis, and cluster analysis. Lastly, a problem can call for regression or classification. A regression problem involves a numeric dependent variable. A classification problem has a categorical dependent variable. Almost all models that are used for supervised machine learning can address regression or classification. For example, regression includes numeric regression and logistic regression for classification. K nearest neighbor can do both as can random forest, support vector machines, and artificial neural networks. This entry was posted in Statistics and tagged statistics on November 10, 2017 by Dr. Darrin. The early pioneers of statistical learning focused exclusively on supervised learning. Linear regression was developed in the 19th century by Legendre and Gauss. In the 1930’s, Fisher created linear discriminant analysis. Logistic regression was created in the 1940’s as an alternative the linear discriminant analysis. In the 1980’s Friedman and Stone developed classification and regression trees. The term generalized additive models were first used by Hastie and Tibshirani for non-linear generalized models. The primary goal of statistical learning is to develop a model of data you currently have to make decisions about the future. In terms of supervised learning with a numeric dependent variable, a teacher may have data on their students and want to predict future academic performance. For a categorical variable, a doctor may use data he has to predict whether someone has cancer or not. In both situations, the goal is to use what one knows to predict what one does not know. A unique characteristic of supervised learning is that the purpose can be to predict future values or to explain the relationship between the dependent variable and another independent variable(s). Generally, data science is much more focused on prediction while the social sciences seem more concerned with explanations. For unsupervised learning, there is no dependent variable. In terms of a practical example, a company may want to use the data they have to determine several unique categories of customers they have. Understanding large groups of customer behavior can allow the company to adjust their marketing strategy to cater to the different needs of their vast clientele. Machine learning is the more popular term as it is easier to conceive of a machine learning rather than statistics learning. Statistical or machine learning is a major force in the world today. With some much data and so much computing power, the possibilities are endless in terms of what kind of beneficial information can be gleaned. However, all this began with people creating a simple linear model in the 19th century. This entry was posted in Research, Statistics and tagged quantitative research, statistics on November 3, 2017 by Dr. Darrin. In research, the term ‘model’ is employed frequently. Normally, a model is some sort of a description or explanation of a real world phenomenon. In data science, we employ the use of statistical models. Statistical models used numbers to help us to understand something that happens in the real world. A statistical model used numbers to help us to understand something that happens in the real world. In the real world, quantitative research relies on numeric observations of some phenomenon, behavior, and or perception. For example, let’s say we have the quiz results of 20 students as show below. This is great information but what if we want to go beyond how these students did and try to understand how students in the population would do on the quizzes. Doing this requires the development of a model. A model is simply trying to describe how the data is generated in terms of whatever we are mesuring while allowing for randomness. It helps in summarizing a large collection of numbers while also providing structure to it. Now, this model is not completely perfect. For example, a student cannot normally get a score above 100 or below 0 on a quiz. Despite this weakness, normal distribution gives is an indication of what the population looks like. With this, we can also calculate the probability of getting a specific score on the quiz. For example, if we want to calculate the probability that a student would get a score of 70 or higher we can do a simple test and find that it is about 26%. The normal model is not the only model. There are many different models to match different types of data. There are the gamma, student t, binomial, chi-square, etc. To determine which model to use requires examining the distribution of your data and match it to an appropriate model. Another option is to transform the data. This is normally done to make data conform to a normal distribution. Which transformation to employ depends on how the data looks when it is plotted. Modeling helps to bring order to data that has been collected for analysis. By using a model such as the normal distribution, you can begin to make inferences about what the population is like. This allows you to take a handful of data to better understand the world. This entry was posted in Statistics and tagged statistics on April 21, 2017 by Dr. Darrin. In logistic regression, there are three terms that are used frequently but can be confusing if they are not thoroughly explained. These three terms are probability, odds, and odds ratio. In this post, we will look at these three terms and provide an explanation of them. Probability is probably (no pun intended) the easiest of these three terms to understand. Probability is simply the likelihood that a certain event will happen. To calculate the probability in the traditional sense you need to know the number of events and outcomes to find the probability. Bayesian probability was also used for predicting who would win the 2016 US presidential race. It is important to remember that probability is an expression of confidence and not a guarantee as we saw in both examples. This can be interpreted as the odds being 332 to 1! This means that Atlanta was 332 times more likely to win the Super Bowl then loss the Super Bowl. Odds are commonly used in gambling and this is probably (again no pun intended) where most of us have heard the term before. The odds is just an extension of probabilities and they are most commonly expressed as a fraction such as one in four, etc. A ratio is the comparison of two numbers and indicates how many times one number is contained or contains another number. For example, a ration of boys to girls is 5 to 1 it means that there are five boys for every one girl. By extension odds ratio is the comparison of two different odds. For example, if the odds of Team A making the playoffs is 45% and the odds of Team B making the playoffs is 35% the odds ratio is calculated as follows. Team A is 1.28 more likely to make the playoffs then Team B. As such there is little difference between odds and odds ratio except that odds ratio is the ratio of two odds ratio. As you can tell, there is a lot of confusion about this for the average person. However, understanding these terms is critical to the application of logistic regression. This entry was posted in quantitative research, Statistics and tagged quantitative research, statistics on March 1, 2017 by Dr. Darrin. Generalized linear models are another way to approach linear regression. The advantage of of GLM is that allows the error to follow many different distributions rather than only the normal distribution which is an assumption of traditional linear regression. Often GLM is used for response or dependent variables that are binary or represent count data. THis post will provide a brief explanation of GLM as well as provide an example. The error structure is the type of distribution you will use in generating the model. There are many different distributions in statistical modeling such as binomial, gaussian, poission, etc. Each distribution comes with certain assumptions that govern their use. The linear predictor is the sum of the effects of the independent variables. Lastly, the link function determines the relationship between the linear predictor and the mean of the dependent variable. There are many different link functions and the best link function is the one that reduces the residual deviances the most. In our example, we will try to predict if a house will have air conditioning based on the interactioon between number of bedrooms and bathrooms, number of stories, and the price of the house. To do this, we will use the “Housing” dataset from the “Ecdat” package. Below is some initial code to get started. Our answer is 1.01, which is pretty good because the cutoff point is 1, so we are really close. Now we can assess the models by using the “anova” function with the “test” argument set to “Chi” for the chi-square test. The results of the anova indicate that the models are all essentially the same as there is no statistical difference. The only criteria on which to select a model is the measure of overdispersion. The first model has the lowest rate of overdispersion and so is the best when using this criteria. Therefore, determining if a hous has air conditioning depends on examining number of bedrooms and bathrooms simultenously as well as the number of stories and the price of the house. The post explained how to use and interpret GLM in R. GLM can be used primarilyy for fitting data to disrtibutions that are not normal. This entry was posted in hypothesis testing, quantitative research, Research, Statistics and tagged R programming, research, statistics on January 18, 2017 by Dr. Darrin. Proportions are are a fraction or “portion” of a total amount. For example, if there are ten men and ten women in a room the proportion of men in the room is 50% (5 / 10). There are times when doing an analysis that you want to evaluate proportions in our data rather than individual measurements of mean, correlation, standard deviation etc. In this post we will learn how to do a test of proportions using R. We will use the dataset “Default” which is found in the “ISLR” pacakage. We will compare the proportion of those who are students in the dataset to a theoretical value. We will calculate the results using the z-test and the binomial exact test. Below is some initial code to get started. We first need to determine the actual number of students that are in the sample. This is calculated below using the “table” function. We have 2944 students in the sample and 7056 people who are not students. We now need to determine how many people are in the sample. If we sum the results from the table below is the code. The proportion test is used to compare a particular value with a theoretical value. For our example, the particular value we have is 29.44% of the people were students. We want to compare this value with a theoretical value of 50%. Before we do so it is better to state specificallt what are hypotheses are. NULL = The value of 29.44% of the sample being students is the same as 50% found in the population ALTERNATIVE = The value of 29.44% of the sample being students is NOT the same as 50% found in the population. Below is the code to complete the z-test. The p-value is essentially zero. This means that we reject the null hypothesis and conclude that the proprtion of students in our sample is different from a theortical proprition of 50% in the population. Below is the same analysis using the binomial exact test. This entry was posted in hypothesis testing, R programming, Research, Statistics and tagged R programming, research, statistics on January 11, 2017 by Dr. Darrin. In this post, we will use probability distributions and ggplot2 in R to solve a hypothetical example. This provides a practical example of the use of R in everyday life through the integration of several statistical and coding skills. Below is the scenario. At a busing company the average number of stops for a bus is 81 with a standard deviation of 7.9. The data is normally distributed. Knowing this complete the following. Our first step is to calculate the interval value. This is the range in which 99.7% of the values falls within. Doing this requires knowing the mean and the standard deviation and subtracting/adding the standard deviation as it is multiplied by three from the mean. Below is the code for this. The values above mean that we can set are interval between 55 and 110 with 100 buses in the data. Below is the code to set the interval. The next step is to calculate the density curve. This is done with our knowledge of the interval, mean, and standard deviation. We also need to use the “dnorm” function. Below is the code for this. We will now plot the normal curve of our data using ggplot. Before we need to put our “interval” and “densityCurve” variables in a dataframe. We will call the dataframe “normal” and then we will create the plot. Below is the code. We now want to determine what is the provability of a bus having less than 65 stops. To do this we use the “pnorm” function in R and include the value 65, along with the mean, standard deviation, and tell R we want the lower tail only. Below is the code for completing this. As you can see, at 2% it would be unusually to. We can also plot this using ggplot. First, we need to set a different density curve using the “pnorm” function. Combine this with our “interval” variable in a dataframe and then use this information to make a plot in ggplot2. Below is the code. We will now calculate the probability of a bus have 93 or more stops. To make it more interesting we will create a plot that shades the area under the curve for 93 or more stops. The code is a little to complex to explain so just enjoy the visual. A lot of work was done but all in a practical manner. Looking at realistic problem. We were able to calculate several different probabilities and graph them accordingly. This entry was posted in Data Visualization, R programming, Research, Statistics and tagged data visualization, R programming, research, statistics on December 30, 2016 by Dr. Darrin. Structural Equation Modeling (SEM) is a complex form of multiple regression that is commonly used in social science research. In many ways, SEM is an amalgamation of factor analysis and path analysis as we shall see. The history of this data analysis approach can be traced all the way back to the beginning of the 20th century. This post will provide a brief overview of SEM. Specifically, we will look at the role of factory and path analysis in the development of SEM. The foundation of SEM was laid with the development of Spearman’s work with intelligence in the early 20th century. Spearman was trying to trace the various dimensions of intelligence back to a single factor. In the 1930’s Thurstone developed multi-factor analysis as he saw intelligence, not as a single factor as Spearman but rather as several factors. Thurstone also bestowed the gift of factor rotation on the statistical community. Around the same time (1920’s-1930’s), Wright was developing path analysis. Path analysis relies on manifest variables with the ability to model indirect relationships among variables. This is something that standard regression normally does not do. In economics, an econometrics was using many of the same ideas as Wright. It was in the early 1950’s that econometricians saw what Wright was doing in his discipline of biometrics. In the 1970’s, Joreskog combined the measurement powers of factor analysis with the regression modeling power of path analysis. The factor analysis capabilities of SEM allow it to assess the accuracy of the measurement of the model. The path analysis capabilities of SEM allow it to model direct and indirect relationships among latent variables. From there, there was an explosion in ways to assess models as well as best practice suggestions. In addition, there are many different software available for conducting SEM analysis. Examples include the LISREL which was the first software available, AMOS which allows the use of a graphical interface. One software worthy of mentioning is Lavaan. Lavaan is a r package that performs SEM. The primary benefit of Lavaan is that it is available for free. Other software can be exceedingly expensive but Lavaan provides the same features for a price that cannot be beaten. SEM is by far not new to the statistical community. With a history that is almost 100 years old, SEM has been in many ways with the statistical community since the birth of modern statistics. This entry was posted in Statistics, structural equation modeling and tagged SEM, statistics on October 28, 2016 by Dr. Darrin. Accuracy can range in value from 0-1 with one representing 100% accuracy. Normally, you don’t want perfect accuracy as this is an indication of overfitting and your model will probably not do well with other data. Error is the opposite of accuracy and represents the percentage of examples that are incorrectly classified its equation is as follows. The lower the error the better in general. However, if an error is 0 it indicates overfitting. Keep in mind that error is the inverse of accuracy. As one increases the other decreases. This may sound confusing but high sensitivity is useful for assessing a negative result. In other words, if I am testing people for a disease and my model has a high sensitivity. This means that the model is useful telling me a person does not have a disease. Returning to the disease example, a high specificity is a good measure for determining if someone has a disease if they test positive for it. Remember that no test is foolproof and there are always false positives and negatives happening. The role of the researcher is to maximize the sensitivity or specificity based on the purpose of the model. The more precise a model is the more trustworthy it is. In other words, high precision indicates that the results are relevant. This formula is the same as the formula for sensitivity. The difference is in the interpretation. High recall means that the results have a breadth to them such as in search engine results. The f-measure can range from 0 – 1 and is useful for comparing several potential models using one convenient number. This post provided a basic explanation of various statistics that can be used to determine the strength of a model. Through using a combination of statistics a researcher can develop insights into the strength of a model. The only mistake is relying exclusively on any single statistical measurement. This entry was posted in machine learning, Statistics and tagged machine learning, statistics on August 22, 2016 by Dr. Darrin. In this post, we are going make an artificial neural network (ANN) by analyzing some data about computers. Specifically, we are going to make an ANN to predict the price of computers. The first step is always data exploration. We will first look at nature of the data using the “str” function and then used the “summary” function. Below is the code. ANN is primarily for numerical data and not categorical or factors. As such, we will remove the factor variables cd, multi, and premium from further analysis. Below are is the code and histograms of the remaining variables. Looking at the summary combined with the histograms indicates that we need to normalize our data as this is a requirement for ANN. We want all of the variables to have an equal influence initially. Below is the code for the function we will use to normalize are variables. We now need to make a new dataframe that has only the variables we are going to use for the analysis. Then we will use our “normalize” function to scale and center the variables appropriately. Lastly, we will re-explore the data to make sure it is ok using the “str” “summary” and “hist” functions. Below is the code. Everything looks good, so we will now split our data into a training and testing set and develop the ANN model that will predict computer price. Below is the code for this. Our initial model is a simple feedforward network with a single hidden node. You can visualize the model using the “plot” function as shown in the code below. The correlation between the predict results and the actual results is 0.88 which is a strong relationship. This indicates that our model does an excellent job in predicting the price of a computer based on ram, screen size, speed, hard drive size, advertising, and trends. Just for fun, we are going to make a more complex model with three hidden nodes and see how the results change below is the code. The correlation improves to 0.89. As such, the increased complexity did not yield much of an improvement in the overall correlation. Therefore, a single node model is more appropriate. In this post, we explored an application of artificial neural networks. This black box method is useful for making powerful predictions in highly complex data. This entry was posted in machine learning, R programming and tagged machine learning, R programming, statistics on July 11, 2016 by Dr. Darrin. In a prior post, we look at some of the basics of probability. The prior forms of probability we looked at focused on independent events, which are events that are unrelated to each other. In this post, we will look at conditional probability which involves calculating probabilities for events that are dependent on each other. We will understand conditional probability through the use of Bayes’ theorem. If all events were independent of it would be impossible to predict anything because there would be no relationships between features. However, there are many examples of on event affecting another. For example, thunder and lighting can be used to predictors of rain and lack of study can be used as a predictor of test performance. Calculating probabilities using Bayes’ theorem can be somewhat confusing when done by hand. There are a few terms however that you need to be exposed too. Bayes’ theorem has been used to develop the Naive Bayes Algorithm. This algorithm is particularly useful in classifying text data, such as emails. This algorithm is fast, good with missing data, and powerful with large or small data sets. However, naive Bayes struggles with large amounts of numeric data and it has a problem with assuming that all features are of equal value, which is rarely the case. Probability is a core component of prediction. However, prediction cannot truly take place with events being dependent. Thanks to the work of Thomas Bayes, we have one approach to making prediction through the use of his theorem. In a future post, we will use naive Bayes algorithm to make predictions about text. This entry was posted in Big Data, machine learning and tagged machine learning, statistics on May 16, 2016 by Dr. Darrin. Probability is a critical component of statistical analysis and serves as a way to determine the likelihood of an event occurring. This post will provide a brief introduction into some of the principles of probability. Events are possible outcomes. For example, if you flip a coin, the event can be heads or tails. A trial is a single opportunity for an event to occur. For example, if you flip a coin one time this means that there was one trial or one opportunity for the event of heads or tails to occur. Another term to understand is mutually exclusive and exhaustive. This means that events cannot occur at the same time. For example, if we flip a coin, the result can only be heads or tails. We cannot flip a coin and have both heads and tails happen simultaneously. We can now work through a sample problem as shown below. To solve this problem we need to find the joint probability which is the probability of two independent events happening at the same time. Independent events or events that do not influence each other. For example, being female has no influence on becoming a musician and vice versa. For our female musician example, we run the follow calculation. From the calculation, we can see that there is a 15% chance that someone will be female and a musician. Probability is the foundation of statistical inference. We will see in a future post that not all events are independent. When they are not the use of conditional probability and Bayes theorem is appropriate. This entry was posted in Research, Statistics and tagged statistics on May 13, 2016 by Dr. Darrin. The Wilcoxon Signed Rank Test is the non-parametric equivalent of the t-test. If you have questions whether or not your data is normally distributed the Wilcoxon Signed Rank Test can still indicate to you if there is a difference between the means of your sample. Th Wilcoxon Test compares the medians of two samples instead of their means. The differences between the median and each individual value for each sample is calculated. Values that come to zero are removed. Any remaining values are ranked from lowest to highest. Lastly, the ranks are summed. If the rank sum is different between the two samples it indicates statistical difference between samples. We will begin by loading the ISLR package. Then we will load the ‘College’ data and take a look at the variables in the “College” dataset by using the ‘str’ function. The results indicate a difference we will now calculate the medians of the two groups using the ‘aggregate’ function. This function allows us to compare our two groups based on the median. Below is the code with the results. As you can see, there is a large difference in enrollment in private and public colleges. We can then make the conclusion that there is a difference in the medians of private and public colleges with public colleges have a much higher enrollment. The Wilcoxon Test is used for a non-parametric analysis of data. This test is useful whenever there are concerns with the normality of the data. This entry was posted in hypothesis testing, quantitative research, R programming, Research, Statistics and tagged hypothesis testing, quantitative research, R programming, statistics on March 30, 2016 by Dr. Darrin. Sometimes when the data that needs to be analyzed is not normally distributed. This makes it difficult to make any inferences based on the results because one of the main assumptions of parametric statistical test such as ANOVA, t-test, etc is normal distribution of the data. Fortunately, for every parametric test there is a non-parametric test. Non-parametric test are test that make no assumptions about the normality of the data. This means that the non-normal data can still be analyzed with a certain measure of confidence in terms of the results. This post will look at non-parametric test that are used to test the difference in means. For three or more groups we used the Kruskal-Wallis Test. The Kruskal-Wallis Test is the non-parametric version of ANOVA. We are going to use the “ISLR” package available on R to demonstrate the use of the Kruskal-Wallis test. After downloading this package you need to load the “Auto” data. Below is the code to do all of this. We will now use the Kruskal-Wallis test. The question we have is “is there a difference in displacement based on the origin of the vehicle?” The code for the analysis is below followed by the results. Based on the results, we know there is a difference among the groups. However, just like ANOVA, we do not know were. We have to do a post-hoc test in order to determine where the difference in means is among the three groups. Ties are present, p-values are not corrected. The results are listed in a table. When a comparison was made between group 1 and 2 the results were significant (p < 0.0001). The same when group 1 and 3 are compared (p < 0.0001). However, there was no difference between group 2 and 3 (p = 0.51). This post provided an example of the Kruskal-Willis test. This test is useful when the data is not normally distributed. The main problem with this test is that it is less powerful than an ANOVA test. However, this is a problem with most non-parametric test when compared to parametric test. This entry was posted in ANOVA, graphs, hypothesis testing, R programming, Research and tagged hypothesis testing, quantitative research, R programming, research, statistics on March 25, 2016 by Dr. Darrin. In this post, we will make predictions about Titanic survivors using decision trees. The advantage of decisions trees is that they split the data into clearly defined groups. This process continues until the data is divided into extremely small subsets. This subsetting is used for making predictions. We are assuming you have the data and have viewed the previous machine learning post on this blog. If not please click here. Once you have installed the packages. You need to develop the model below is the code. The model uses most of the variables in the data set for predicting survivors. The ‘rpart’ function is used for making the classification tree aka decision tree. You can probably tell that this is an ugly plot. To improve the appearance we will run the following code. Here is one way to read a decision tree. Still looking at the top bucket, 62% of the passengers die while 38% survived before we even split the data.The number under the node tells what percentage of the sample is in this “bucket”. For the first bucket 100% of the sample is represented. For those who are not male (female) we look to the right and see that only 26% died compared to 74% who survived leading to this bucket voting 1 for survival. This bucket represents 35% of the entire sample. This entry was posted in machine learning, R programming, Research, Statistics and tagged machine learning, R programming, statistics on March 15, 2016 by Dr. Darrin. This post will provide a practical application of some of the basics of data science using data from the sinking of the Titanic. In this post, in particular, we will explore the dataset and see what we can uncover. The first thing that we need to do is load the actual datasets into R. In machine learning, there are always at least two datasets. One dataset is the training dataset and the second dataset is the testing dataset. The training is used for developing a model and the testing is used for checking the accuracy of the model on a different dataset. Downloading both datasets can be done through the use of the following code. We will now do some basic data exploration. This will help us to see what is happening in the data. What to look for is endless. Therefore, we will look at a few basics things that we might need to know. Below are some questions with answers. What variables are in the dataset? 2. How many people survived in the training data? Unfortunately, unless you are really good at math these numbers do not provide much context. It is better to examine this using percentages as can be found in the code below. These results indicate that about 62% of the passengers died while 38% survived in the training data. 3. What percentage of men and women survived? This information can help us to determine how to setup a model for predicting who will survive. The answer is below. This time we only look percentages. You can see that being male was not good on the titanic. Men died in much higher proportions compared to women. 4. Who survived by class? 3rd class had the highest mortality rate. This makes sense as 3rd class was the cheapest tickets. 5. Does age make a difference in survival? We want to see if age matters in survival. It would make sense that younger people would be more likely to survive. This might be due to parents give their kids a seat on the lifeboats and younger singles pushing their way past older people. We cannot use a plot for this because we would have several dozen columns on the x-axis for each year of life. Instead, we will use a box plot based on survived or died to see. Below is the code followed by a visual. As you can see, there is little difference in terms of who survives based on age. This means that age may not be a useful predictor of survival. There is so much more we can explore in the data. However, this is enough for beginning to lay down criteria for developing a model. This entry was posted in machine learning, R programming, Research, Statistics and tagged machine learning, R programming, statistics on March 9, 2016 by Dr. Darrin. First, we need to split our data into a training and testing set as well as load the various packages that we need. We have run this code several times when using machine learning. Below is the code to complete this. We are using 7 variables to predict whether a university is private or not. The method is ‘rf’ which stands for “Random Forest”. By now, I am assuming you can read code and understand what the model is trying to do. For a refresher on reading code for a model please click here. The final value used for the model was mtry = 4. Most of this is self-explanatory. The main focus is on the mtry, accuracy, and Kappa. The shows several different models that the computer generated. Each model reports the accuracy of the model as well as the Kappa. The accuracy states how well the model predicted accurately whether a university was public or private. The kappa shares the same information but it calculates how well a model predicted while taking into account chance or luck. As such, the Kappa should be lower than the accuracy. At the bottom of the output, the computer tells which mtry was the best. For our example, the best mtry was number 4. If you look closely, you will see that mtry 4 had the highest accuracy and Kappa as well. For the most part, the model we developed to predict if a university is private or not is accurate. The output tells you how much the accuracy of the model is reduced if you remove the variable. As such, the higher the number the more valuable the variable is in improving accuracy. This post exposed you to the basics of random forest. Random forest is a technique that develops a forest of decisions trees through resampling. The results of all these trees are then averaged to give you an idea of which variables are most useful in prediction. This entry was posted in machine learning, R programming, Research, Statistics and tagged machine learning, quantitative research, R programming, statistics on February 8, 2016 by Dr. Darrin. Hypothesis testing in statistics involves deciding whether to reject or not reject a null hypothesis. There are problems that can occur when making decisions about a null hypothesis. A researcher can reject a null when they should not reject it, which is called a type I error. The other mistake is not rejecting a null when they should have, which is a type II error. Both of these mistakes represent can seriously damage the interpretation of data. The classic example that explains type I and type II errors is a courtroom. In a trial, the defendant is considered innocent until proven guilty. The defendant can be compared to the null hypothesis being true. The prosecutor job is to present evidence that the defendant is guilty. This is the same as providing statistical evidence to reject the null hypothesis which indicates that the null is not true and needs to be rejected. The defendant can be declared guilty when they are really guilty. That’s a correct decision.This is the same as rejecting the null hypothesis. The defendant could be judged not guilty when they really are innocent. That’s a correct and is the same as not rejecting the null hypothesis. The defendant is guilty but declared innocent, which is also incorrect. This is the same as not rejecting the null hypothesis when you should have. This is known as a type II error. The probability of committing a type I error is the same as the alpha or significance level of a statistical test. Common values associated with alpha are o.1, 0.05, and 0.01. This means that the likelihood of committing a type I error depends on the level of the significance that the researcher picks. The probability of committing a type II error is known as beta. Calculating beta is complicated as you need specific values in your null and alternative hypothesis. It is not always possible to supply this. As such, researcher often do not focus on type II error avoidance as they do with type I. Another concern is that decrease the risk of committing one type of error increases the risk of committing the other. This means that if you reduce the risk of type I error you increase the risk of committing a type II error. The risk of error or incorrect judgment of a null hypothesis is a risk in statistical analysis. As such, researchers need to be aware of these problems as they study data. This entry was posted in hypothesis testing, quantitative research, Research, Statistics and tagged hypothesis testing, statistics on February 3, 2016 by Dr. Darrin. A z-score indicates how closely related one given score is to mean of the sample. Extremely high or low z-scores indicates that the given data point is unusually above or below the mean of the sample. In order to understand z-scores you need to be familiar with distribution. In general, data is distributed in a bell shape curve. With the mean being the exact middle of the graph as shown in the picture below. The Greek letter μ is the mean. In this post, we will go through an example that will try to demonstrate how to use and interpret the z-score. Notice that a z-score + 1 takes of 68% of the potential values a z-score + 2 takes of 95%, a z-score + 3 takes of 99%. Imagine you know the average test score of students on a quiz. The average is 75%. with a standard deviation of 6.4%. Below is the equation for calculating the z-score. Let’s say that one student scored 52% on the quiz. We can calculate the likelihood for this data point by using the formula above. Our value is negative which indicates that the score is below the mean of the sample. Our score is very exceptionally low from the mean. This makes sense given that the mean is 75% and the standard deviation is 6.4%. To get a 52% on the quiz was really bad performance. We can convert the z-score to a percentage to indicate the probability of getting such a value. To do this you would need to find a z-score conversion table on the internet. A quick glance at the table will show you that the probability of getting a score of 52 on the quiz is less than 1%. Off course, this is based on the average score of 75% with a standard deviation of 6.4%. A different average and standard deviation would change the probability of getting a 52%. Z-scores are also used to standardize a variable. If you look at our example, the original values were in percentages. By using the z-score formula we converted these numbers into a different value. Specifically, the values of a z-score represent standard deviations from the mean. In our example, we calculated a z-score of -3.59. In other words, the person who scored 52% on the quiz had a score 3.59 standard deviations below the mean. When attempting to interpret data the z-score is a foundational piece of information that is used extensively in statistics. This entry was posted in quantitative research, Research, Statistics and tagged quantitative research, statistics on January 29, 2016 by Dr. Darrin. Prediction is one of the key concepts of machine learning. Machine learning is a field of study that is focused on the development of algorithms that can be used to make predictions. Anyone who has shopped online at has experienced machine learning. When you make a purchase at an online store, the website will recommend additional purchases for you to make. Often these recommendations are based on whatever you have purchased or whatever you click on while at the site. Supervised machine learning is using cleaned and properly labeled data. Since the data is labeled there is some form of indication whether the model that is developed is accurate or not. If the is incorrect then you need to make adjustments to it. In other words, the model learns based on its ability to accurately predict results. However, it is up to the human to make adjustments to the model in order to improve the accuracy of it. In this post, we will look at using R for supervised machine learning. The definition presented so far will make more sense with an example. We are going to make a simple prediction about whether emails are spam or not using data from kern lab. If you use the “View” function to examine the data you will see that there are several columns. Each column tells you the frequency of a word that kernlab found in a collection of emails. We are going to use the word/variable “money” to predict whether an email is spam or not. First, we need to plot the density of the use of the word “money” when the email was not coded as spam. Below is the code for this. This is an advance R post so I am assuming you can read the code. The plot should look like the following. As you can see, money is not used to frequently in emails that are not spam in this dataset. However, you really cannot say this unless you compare the times ‘money’ is labeled nonspam to the times that it is labeled spam. To learn this we need to add a second line that explains to us when the word ‘money’ is used and classified as spam. The code for this is below with the prior code included. If you look closely at the plot doing a visual inspection, where there is a separation between the blue line for nonspam and the red line for spam is the cutoff point for whether an email is spam or not. In other words, everything inside the arc is labeled correctly while the information outside the arc is not. The next code and graph show that this cutoff point is around 0.1. This means that any email that has on average more than 0.1 frequency of the word ‘money’ is spam. Below is the code and the graph with the cutoff point indicated by a black line. Now we need to calculate the accuracy of the use of the word ‘money’ to predict spam. For our current example, we will simply use in “ifelse” function. If the frequency is greater than 0.1. We then need to make a table to see the results. The code for the “ifelse” function and the table are below followed by the table. Based on the table that I am assuming you can read, our model accurately calculates that an email is spam about 71% (0.59 + 0.12) of the time based on the frequency of the word ‘money’ being greater than 0.1. Of course, for this to be true machine learning we would repeat this process by trying to improve the accuracy of the prediction. However, this is an adequate introduction to this topic. This entry was posted in machine learning, quantitative research, R programming, Statistics and tagged machine learning, quantitative research, R programming, research, statistics on December 14, 2015 by Dr. Darrin. Survey design is used to describe the opinions, beliefs, behaviors, and or characteristics of a population based on the results of a sample. This design involves the use of surveys that include questions, statements, and or other ways of soliciting information from the sample. This design is used for descriptive purpose primarily but can be combined with other designs (correlational, experimental) at times as well. In this post, we will look at the following. There are two common forms of survey design which are cross-sectional and longitudinal. A cross-sectional survey design is the collection of data at one specific point in time. Data is only collected once in a cross-sectional design. A cross-sectional design can be used to measure opinions/beliefs, compare two or more groups, evaluate a program, and or measure the needs of a specific group. The main goal is to analyze the data from a sample at a given moment in time. A longitudinal design is similar to a cross-sectional design with the difference being that longitudinal designs require collection over time.Longitudinal studies involve cohorts and panels in which data is collected over days, months, years and even decades. Through doing this, a longitudinal study is able to expose trends over time in a sample. There are certain traits that are associated with survey design. Questionnaires and interviews are a common component of survey design. The questionnaires can happen by mail, phone, internet, and in person. Interviews can happen by phone, in focus groups, or one-on-one. The design of a survey instrument often includes personal, behavioral and attitudinal questions and open/closed questions. Another important characteristic of survey design is monitoring the response rate. The response rate is the percentage of participants in the study compared to the number of surveys that were distributed. The response rate varies depending on how the data was collected. Normally, personal interviews have the highest rate while email request has the lowest. It is sometimes necessary to report the response rate when trying to publish. As such, you should at the very least be aware of what the rate is for a study you are conducting. Surveys are used to collect data at one point in time or over time. The purpose of this approach is to develop insights into the population in order to describe what is happening or to be used to make decisions and inform practice. This entry was posted in qualitative research, quantitative research, Research, Statistics and tagged qualitative research, quantitative research, research, statistics on December 9, 2015 by Dr. Darrin. The ‘plot’ function is one of the basic options for graphing data. We are going to go through an example using the ‘islands’ data that comes with the R software. The ‘islands’ software includes lots of data, in particular, it contains data on the lass mass of different islands. We want to plot the land mass of the seven largest islands. Below is the code for doing this. In the variable ‘islandgraph’ We used the ‘head’ and the ‘sort’ function. The sort function told R to sort the ‘island’ data by decreasing value ( this is why we have the decreasing argument equaling TRUE). After sorting the data, the ‘head’ function tells R to only take the first 7 values of ‘island’ (see the 7 in the code) after they are sorted by decreasing order. Next, we use the plot function to plot are information in the ‘islandgraph’ variable. We also give the graph a title using the ‘main’ argument followed by the title. Following the title, we label the y-axis using the ‘ylab’ argument and putting in quotes “Square Miles”. The last step is to add text to the information inside the graph for clarity. Using the ‘text’ function, we tell R to add text to the ‘islandgraph’ variable using the names from the ‘islandgraph’ data which uses the code ‘label=names(islandgraph)’. Remember the ‘islandgraph’ data is the first 7 islands from the ‘islands’ dataset. After telling R to use the names from the islandgraph dataset we then tell it to place the label a little of center for readability reasons with the code ‘adj = c(0.5,1). Below is what the graph should look like. For visual purposes, it may be beneficial to manipulate the color and appearance of several data points in a graph. To do this, we are going to use the ‘faithful’ dataset in R. The ‘faithful’ dataset indicates the length of eruption time and how long people had to wait for the eruption. The first thing we want to do is plot the data using the “plot” function. As you see the data, there are two clear clusters. One contains data from 1.5-3 and the second cluster contains data from 3.5-5. To help people to see this distinction we are going to change the color and shape of the data points in the 1.5-3 range. Below is the code for this. In this variable, we use the ‘with’ function. This allows us to access columns in the dataframe without having to use the $ sign constantly. We are telling R to look at the ‘faithful’ dataframe and only take the information from faithful that has eruptions that are less than 3. All of this is indicated in the first line of code above. This entry was posted in Data Visualization, R programming, Research, Statistics and tagged data visualization, R programming, research, statistics on December 8, 2015 by Dr. Darrin. A two-way table is used to explain two or more categorical variables at the same time. The difference between a two-way table and a frequency table is that a two-table tells you the number of subjects that share two or more variables in common while a frequency table tells you the number of subjects that share one variable. In the example, we are going to look at two categorical variables. One variable is gender and the other is marital status. For gender, the choices are “Male” and Female”. For marital status, the choicest are ‘Married” and “Single”. Below is the code for developing the table. There has already been a discussion on creating matrices in R. Therefore, the details of this script will not be explained here. This table tells you about married and single people broken down by their gender. For example, 34 males are married. A useful addition to a table is to add the margins. The margins tell you the total number of subjects in each row and column of a table. To do this in R use the ‘addmargins’ function as indicated below. We now know the total number of Married people, Singles, Males, and Females. In addition to the information we already knew. As you can see, we now know the proportions of each category in the table. This post provided information on how to construct and manipulate data that is in a two-way table. Two-way tables are a useful way of describing categorical variables. This entry was posted in R programming, Research, Statistics and tagged R programming, research, statistics on October 26, 2015 by Dr. Darrin. A correlation indicates the strength of the relationship between two or more variables. Plotting correlations allows you to see if there is a potential relationship between two variables. In this post, we will look at how to plot correlations with multiple variables. The ‘Species’ variable will not be a part of our analysis since it is a categorical variable and not a continuous one. The type of correlation we are analyzing is for continuous variables. We are now going to plot all of these variables above at the same time by using the ‘plot’ function. We also need to tell R not to include the “Species” variable. This is done by adding a subset code to the script. Below is the code to complete this task. Hopefully, you can see the pattern. The plots above the diagonal are mirrors of the ones below. If you are familiar with correlational matrices this should not be surprising. After a visual inspection, you can calculate the actual statistical value of the correlations. To do so use the script below and you will see the table below after it. As you can see, there are many strong relationships between the variables. 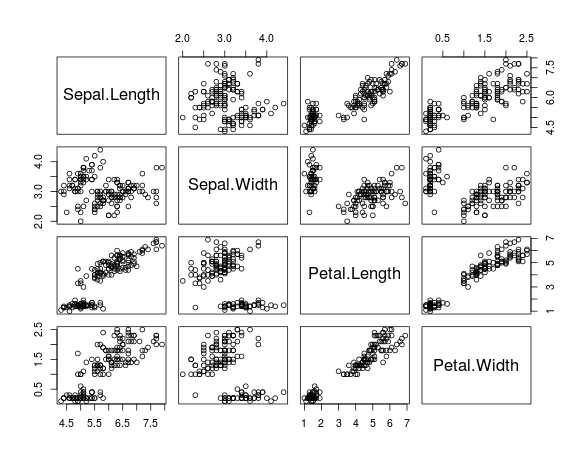 For example “Petal.Width” and “Petal.Length” has a correlation of .96, which is almost perfect. This means that when “Petal.Width” grows by one unit “Petal.Length” grows by .96 units. Plots help you to see the relationship between two variables. After visual inspection, it is beneficial to calculate the actual correlation. This entry was posted in Correlation/Regression, R programming, Research, Statistics and tagged R programming, research, statistics on October 19, 2015 by Dr. Darrin. For quantitative studies, once you have prepared your data it is now time to analyze it. How you analyze data is heavily influenced by your research questions. 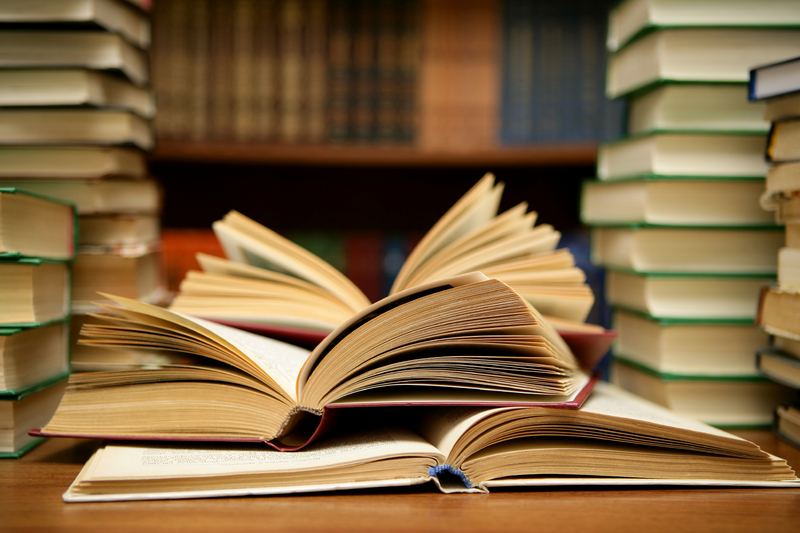 Most studies involve the use of descriptive and or inferential statistics to answer the research questions. This post will explain briefly discussed various forms of descriptive statistics. Common examples of descriptive statistics that describe trends in the data are mean, median, mode. For example, if we gather the weight of 20 people. The mean weight of the people gives us an idea of about how much each person weighs. The mean is easier to use and remember than 20 individual data points. The median is the value that is exactly in the middle of a range of several data points. For example, if we have several values arrange from less to greatest such as 1, 4, 7. The number 4 is the median as it is the value exactly in the middle. The mode is the most common number in a list of several values arranged from least to greatest. For example, if we have the values 1, 3, 4, 5, 5, 7. The number 5 is the mode since it appears twice while all the other numbers appear only once. Calculating spread scores is somewhat more complicated than trend stats. Variance is the average amount of deviation from the mean. It is an average of the amount of error in the data. If the mean of a data set is 5 and the variance is 1 this means that the average departure from the mean of 5 is 1 point. One problem with variance is that its results are squared. This means that the values of the variance are measured differently than whatever the mean is. To deal with this problem, statisticians square root the results of variance to get the standard deviation. The standard deviation is the average amount that the values in a sample are different from the mean. This value is used in many different statistical analysis. The range measures the dispersion of the data by subtracting the highest value from the lowest. For example, if the highest value in a data set is 5 and the lowest is 1 the range is 5 – 1 = 4. Comparison descriptive stats are much harder to explain and are often used to calculate more advanced statistics. Two types of comparison descriptive stats include z scores percentile rank. Z scores tells us how far a data point is from the mean in terms of standard deviation. For example, a z score of 3.0 indicates that this particular data point is 3 standard deviations away from the mean. Z scores are useful in identify outliers and many other things. The percentile rank is much easier to understand. Percentile rank tells you how many scores fall at or below the percentile. For example, some with a score at the 80th percentile outperformed 80% of the sample. Descriptive stats are used at the beginning of an analysis. There are many other forms of descriptive stats such as skew, kurtosis, etc. Descriptive stats are useful for making sure your data meets various forms of normality in order to begin inferential statistical analysis. Always remember that your research questions determine what form of analysis to conduct. This entry was posted in quantitative research, Research, Statistics and tagged quantitative research, research, statistics on September 4, 2015 by Dr. Darrin. This post will cover how to search for text within a vector in R. There are times when you may be working with a lot of information and you want to find a specific piece of information. For example, let’s say you have a list of names that are not in alphabetical order and you want to know how many names start with the letter “E”. To solve this problem, you need to learn how to search text by searching for a pattern. Below is an example of how to do this followed by an explanation. "Andy"    "Billy"   "Chris"   "Darrin"  "Ed"      "Frank"   "Gabe"    "Hank"
 "Ivan"    "James"   "Karl"    "Larry"   "Matt"    "Norman"  "Oscar"   "Paul"
 "Quinton" "Alex"    "Andre"   "Aron"    "Bob"     "Rick"    "Simon"   "Steve"
 "Thomas"  "Tim"     "Victor"  "Vince"   "William" "Warren"  "Wilson"  "Ted"
 "Dan"     "Eric"    "Ernest"  "Fred"    "Jim"     "Ethan"   "Lance"   "Mitch"
Now you know where the names that start with ‘E’ are but you don’t know the actual names. Below is how you extract the names from the variable. You used the ‘grep function to do this. You can also substitute text in a vector. For example, let’s say you want to replace the name ‘Ed’ in the ‘Student.names’ variable with the more formal name of ‘Edward’ here is how it is done. Just so you know, ‘Ed’ was the 5th name in the list but below it will be replaced with ‘Edward. "Andy"    "Billy"   "Chris"   "Darrin"  "Edward"  "Frank"   "Gabe"    "Hank"
This entry was posted in R programming, Research, Statistics and tagged R programming, research, statistics on July 2, 2015 by Dr. Darrin. Logical vectors are vectors that compare values. The response R gives is either TRUE which means that the comparision statement is correct or FALSE which means the comparision statement is incorrect. Logical vectors use various operators that indicate ‘greater than’, ‘less than’, ‘equal to’, etc. As this is an abstract concept, it is better to work through several examples to understand. We then entered the equation ‘points.of.James > 20’ which means which values in the variable ‘points.of.James’ are greater than 20′. R replied by stating that the first to values are not greater than 20, which is why they are FALSE and that the last 4 values are greater than 20, which is why they are TRUE. You then used the ‘which()’ function for it to tell which times that Kevin scored less than James. You can also find not each time that Kevin scored less than James but instead find out how many times Kevin scored less than James by using the ‘sum()’ function instead of the ‘which()’ function. R explains that Kevin scored less than James two times. Naturally, there is much more that can be done with vectors than what was covered here. This is just a glimpse at what is possible. This entry was posted in R programming, Research, Statistics and tagged R programming, research, statistics on June 26, 2015 by Dr. Darrin. In a previous post, we took our first look at vectors and their use in R. In this post, we will build on this knowledge by learning more ways to use and analyze vectors. An important function for analyzing vectors is the str() function. This function allows you to look at the structure or characteristics of any object, including vectors. Objects are the pieces of data you create and or manipulate in R.
We are going to analyze the structure of the variable ‘points.of.James’, which contains a vector. Below is the code for this followed by an explanation. 1:6 shares two pieces of information. The 1 tells us how many dimensions the example, which is one. The six tells us how many values or indices the vector has, which is six. In other words there are six numbers in the variable. Remember the word ‘indices’, which refers to the location of a value within a vector, as it will be important in the future. Let’s say you are curious to know how many indices a vector has. To figure this out you use the length() function is demonstrated below. You can probably see that the variable ‘points.of.James’ has six values within it. Another useful function for vectors is the ability to combine them. In the example below, we will combine the variables ‘points.of.James’ and ‘points.of.Kevin’. We created a new variable called ‘all.points’ and assigned the variables ‘points.of.James’ and ‘points.of.Kevin’ to it. We then read the ‘all.points’ variable and it showed us all of the values within it. Which the same values found with ‘points.of.James’ and ‘points.of.Kevin’. One last useful tool when using vectors is the ability to extract values from a vector. This can be done by using the brackets or [ ]. Extracting values means taking a handful of values from a vector and looking at them alone. Below is an example. R then replies by telling me the tenth value of the ‘all.points’ variable is 30. This is still just an introduction into how vectors can be used in R.
This entry was posted in R programming, Research, Statistics and tagged R programming, research, statistics on June 25, 2015 by Dr. Darrin. Vectors were discussed in a previous post. In short, vectors are a collection of information. Functions serve the purpose of performing several operations one after another. Now, will combine these two concepts into what are known as vectorized functions. Vectorized functions are functions that perform several operations on a vector. In other words, you can put several numbers into a vector and then have a function do something to all the numbers at the same time. What we have done so far is create the variable “points.of.James” and assigned the vector of 24, 8, 8, 12, 18, 9. The points represent the number of points he scored in the six games. The first function we are going to use is the sum() function. This function will add up how many points James scored in the six games. Below is the code for it. The values in the variable “points.of.James” are the vector 24, 8, 8, 12, 18, 9. Another more complicated example has to do with how functions can combine vectors. For example, let’s say a list of people in the English department and you want to add after their name that they all have the position of lecturer. To do this you need to use the paste() function which will combine the information. Below is an example of how to do this using R.
>  Rank <- ", Lecturer"
 "Darrin Thomas, Lecturer" "John Williams, Lecturer" "Sarah Smith, Lecturer"
When then created a variable called “Rank” and assigned the value “, Lecturer”. We put the comma in front of the word Lecturer so that when we combine the faculty.names and rank variables we have a comma after the name of the faculty person and before their rank, which is lecturer. Next, we combined all of the names of the faculty members with the rank of “Lecturer” using the paste() function. After setting up the paste function we get the “faculty.names” and “Rank” combined which shows the names of the faculty members with their corresponding rank. Let’s pretend you are dealing with the same problem but now the faculty members have different rankings. Here is the code for how to do this. "Darrin Thomas, Lecturer" "John Williams, Senior Lecturer"
This entry was posted in R programming, Statistics and tagged R programming, statistics on June 23, 2015 by Dr. Darrin. Sourcing a script has to do with having R running several commands either one after another with stopping. In order to do this R Studio, you need to type your code into Source Editor which is normally at the top left-hand side of the program. We are going to go through an example in which R will ask a question and you will answer it. h <- "Welcome to R"
After typing this information, you should click on the source button near the top middle of the computer screen. If this is done correctly you should see the following in the console. Type your name in response to the question and press enter. Then you should see the following. Next, we made a variable called yourname and assigned the function readline to read the phrase “What is your name?”. The readline function literally reads text. We responded with our name. Several steps of code were run at once through using the script editor. This same process could have been done in the console but using the script editor saves time. Many aspects of programming focus on saving time and improving efficiency. There are always several ways to do something but the goal is always to find the method that takes the least amount of effort and improves the readability of the code. This entry was posted in R programming, Statistics and tagged R programming, research, statistics on June 21, 2015 by Dr. Darrin.